Nationwide Foundation is a Living Wage Friendly Funder. 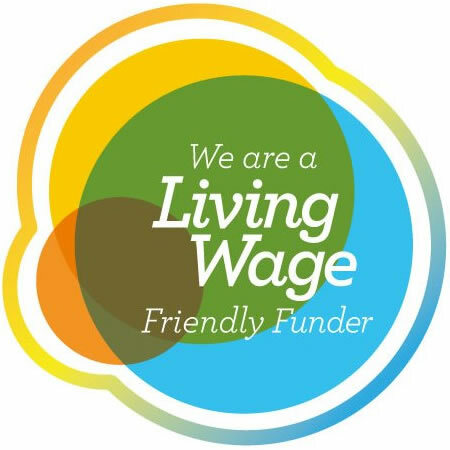 The Nationwide Foundation is a Living Wage Friendly Funder and ensures the living wage is paid for the staff posts it funds to carry out projects. For the Nationwide Foundation, a funder which seeks to help people in need in the UK, committing to ensuring that fair wages are paid is an obvious and simple way of tackling poverty and disadvantage. The living wage is more than the UK’s minimum wage and is a robust calculation that reflects the real cost of living. Working in the charity sector, the Nationwide Foundation comes across the huge problems caused by poverty and economic disadvantage every day and so as a responsible funder, ensures that where its grants are supporting employment that these workers are paid fairly with a living wage.